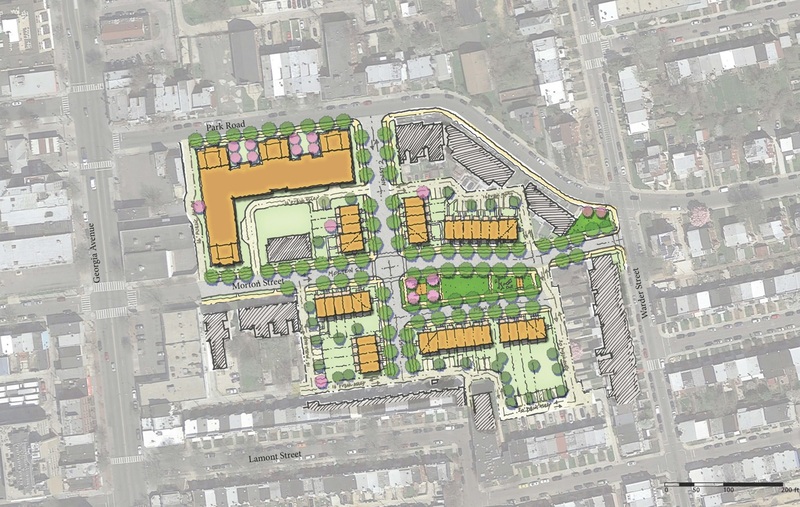 Update to Park Morton Redevelopment Plan | Park View, D.C. Both at the July 13th meeting of ANC1A and last night’s meeting of the Park Morton Steering Committee, LaToya Thomas or Dantes Partners presented where things currently are with the Park Morton redevelopment effort and to solicit feedback related to the PUD process and potential amenities. ANC1A will consider both PUD cases 16-11 and 16-12 in September. 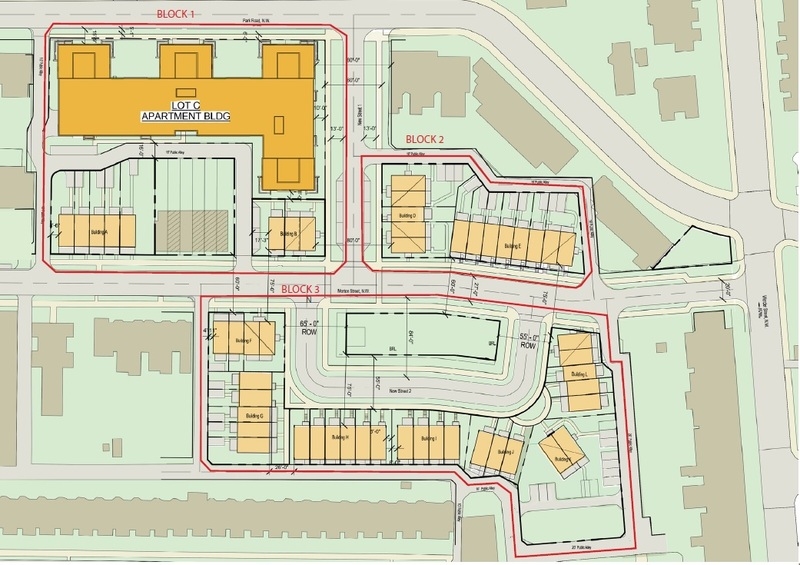 In reviewing the current plan, it is worth noting that the layout for the Park Morton site has been revised in response to comments from the Office of Planning (OP) which was concerned primarily in the areas of extending the street grid, creating rear yards for rowhouses, and having houses face streets. Below is the plan revised to address OP’s concerns. Interestingly enough, the new configuration increases the number of housing units on the site by six (6) (see configuration as originally proposed in the PUD application here). The discussion at the Park Morton Steering Committee meeting primarily centered around potential amenities that could result from the PUD applications. There are a number of amenities/community improvements that I would like to see incorporated into both sites. I’ll list a few of them below. In addition to incorporating new sidewalks and street trees where none currently exist, it would also be ideal if the existing and new streets that are part of the project could install historically compatible street lighting. 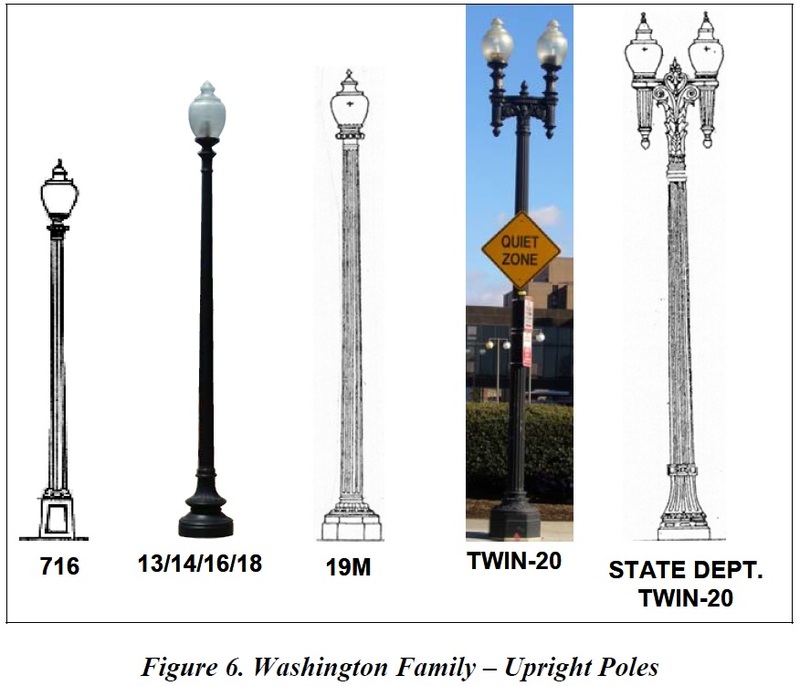 In reviewing DDOT’s Streetlight Policy and Design Guidelines, the lighting that would be most compatible with the surrounding community would be the Washington Family of lighting, including teardrop fixtures when needed. It also goes without saying that there will need to be a community process to program how the two park spaces are designed. As the ANCs and community groups work through the PUD process, I’m sure many more ideas will come forward. This entry was posted on July 29, 2016 at 7:01 am and is filed under Development, Housing. You can subscribe via RSS 2.0 feed to this post's comments. I would also like to see a police substation somewhere in between PM and BM. The massing of the building on park road is too much. Why not make more midsize buildings to mix in with the row houses? I don’t much care about the name of the park. Seems to me there’s much more important issues: why is the park not included in the PUD? Why is the park going to be privately owned? Why is the park only about a third of the space, rather than the half that was promised? Pave the streets with gold leaf. Have 24 hour concierge for restaurant reservations needs. Since park space is being removed and many residents wanted a dog park at the current park. Maybe the developers could buy the empty lot in the 400 block Kenyon/Irving alley and turn that into a dog park. The owner is trying to sell it for 100k and I bet he would take less, since it can’t be built into a house.